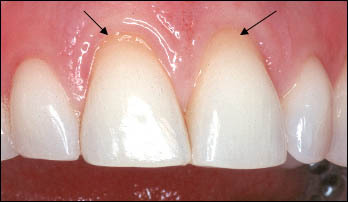 The following case illustrates another procedure available for root coverage of an exposed root surface. 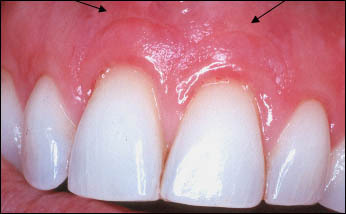 If the collar of gum tissue quality is good, the tissue can be moved back over the exposed root surface through a minor incision. 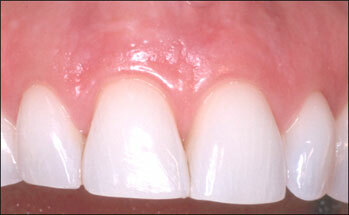 This treatment option works better for upper teeth. Root Coverage. Note hint of Incision Line. (arrows).